Welcome to the Jurys Inns Group privacy notice. Jurys Inns respects your privacy and is committed to protecting your personal data. This privacy notice will inform you as to how we look after your personal data whenever that information is provided to us. This includes when you, or someone on your behalf, request information from us, contact us (or we contact you), make a booking, use our website(s)/apps, link to or from our website(s)/apps, connect with us via social media, through our contact centre or hotels, or any other engagement we have with you (regardless of where you are based). It also tells you about your privacy rights and how the law protects you. This privacy notice aims to give you information on how Jurys Inns collects and processes your personal data in our dealings with you, including in providing accommodation and other services to you, including any data you may provide through our website. This privacy notice is issued on behalf of the Jurys Group so when we mention Jurys Inns", "we", "us" or "our" in this privacy notice, we are referring to the relevant company in the Jurys Group responsible for processing your data. Jurys Hotel Management (UK) Limited is the controller and responsible for this website. Identity Data includes first name, last name, username or similar identifier, , title, date of birth and gender. Special Requirements Data includes disability and or dietary requirements. Transaction Data includes details about payments from you and other details of your bookings, stays and other services you have purchased from us. Technical Data includes internet protocol (IP) address, your login data, browser type and version, time zone setting and location, browser plug-in types and versions, operating system and platform and other technology on the devices you use to access this website/or any apps. Profile Data includes your username and password, services provided to you, your, , feedback and survey responses. In the normal course, we will only collect Special Categories of Personal Data about you (this includes details about your or information about your dietary and health needs and disabilities ("Special Requirements Data") to the extent that it is volunteered by you or on your behalf and is needed to cater to your requirements during your stay with us or other use of our facilities or services. We may also, however, need to process such information in the event of an accident or a medical or other emergency during your stay or your other use of our facilities. We do not obtain personal data about children who are booked in to stay at our hotels. We record only the number of children staying in our hotels. Automated technologies or interactions. As you interact with our website/apps or via social media, we may automatically collect Technical Data about your equipment, browsing actions and patterns. We collect this personal data by using cookies, server logs and other similar technologies. Please see Cookie usage and storage for further details. Third parties acting on your or your employer's behalf. We may receive personal data about you if a booking is made for you by another person, who may be a family member or travelling companion, or a travel agent or other intermediary, working for you or, where you are travelling on business, your employer or other third party on your behalf. Affiliate networks such as TradeDoubler based inside the EU. In the case of any accident or a medical or other emergency, to protect your or another individual's vital interests, where you or they are not able to give consent. information about your health, any disabilities and dietary requirements that you volunteer to us to enable us to accommodate your needs during your stay. When we refer to legitimate interests we mean the interest of our business in conducting and managing our business to enable us to give you the best service/product and the best and most secure experience. We make sure we consider and balance any potential impact on you (both positive and negative) and your rights before we process your personal data for our legitimate interests. We do not use your personal data for activities where our interests are overridden by the impact on you (unless we have your consent or are otherwise required or permitted to by law). We may use your Identity, Contact, Technical and Profile Data to form a view on what we think you may want or need, or what may be of interest to you. This is how we decide which services and offers may be relevant for you. We will not share your personal data with any company outside the Jurys group of companies for marketing purposes without your express consent. 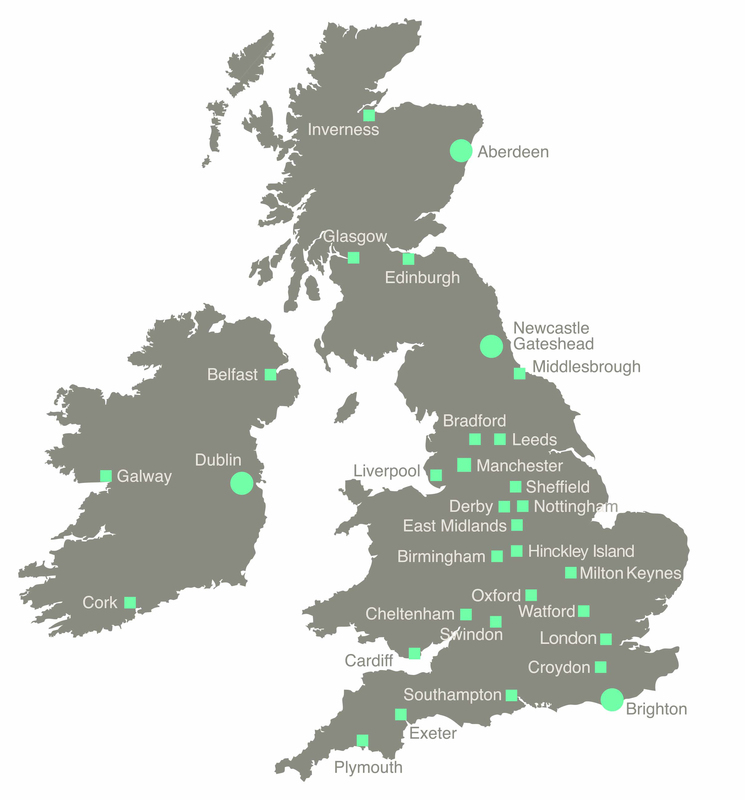 Other companies in the Jurys Group based within the European Economic Area involved in providing services to you, whether directly or providing underlying infrastructure services. Where there are health clubs in our hotels, these are operated by a separate third party company 3D Leisure. They are an independent controller, so they too will have specific obligations under data protection law and their own privacy notice. We share your personal data within the Jurys Group. All companies in the Group are currently based in the European Economic Area (EEA). Where we use certain service providers, we may use specific contracts approved by the European Commission which give personal data the same protection it has in Europe. We do this (for example) in connection with our providers for booking through travel agents, this data is processed in the US. By law we have to keep basic information about our customers (including Contact, Identity, Financial and Transaction Data) for seven years after the transaction in question. We also need to keep information for that period to be able to deal with any dispute. If you wish to exercise any of the rights set out above, please Contact us OR Sean Twohig our DPO at DPO@jurysinns.com. Request access to your personal data (commonly known as a "data subject access request"). This enables you to receive a copy of the personal data we hold about you and to check that we are lawfully processing it. Download the Subject Access Request form. Request correction of the personal data that we hold about you. This enables you to have any incomplete or inaccurate data we hold about you corrected, though we may need to verify the accuracy of the new data you provide to us. Download the Right to Correction form. Request erasure of your personal data. This enables you to ask us to delete or remove personal data where there is no good reason for us continuing to process it. You also have the right to ask us to delete or remove your personal data where you have successfully exercised your right to object to processing (see below), where we may have processed your information unlawfully or where we are required to erase your personal data to comply with local law. Note, however, that we may not always be able to comply with your request of erasure for specific legal reasons which will be notified to you, if applicable, at the time of your request. Download the Right to Delete form. Object to processing of your personal data where we are relying on our legitimate interest (or that of a third party) and there is something about your particular situation which makes you want to object to processing on this ground as you feel it impacts on your fundamental rights and freedoms. You also have the right to object where we are processing your personal data for direct marketing purposes. In some cases, we may demonstrate that we have compelling legitimate grounds to process your information which override your rights and freedoms. Download the Right to Object to Processing form. Request restriction of processing of your personal data. This enables you to ask us to suspend the processing of your personal data in the following situations: (a) if you want us to establish the data's accuracy; (b) where our use of the data is unlawful but you do not want us to erase it; (c) where you need us to hold the data even if we no longer require it as you need it to establish, exercise or defend legal claims; or (d) you have objected to our use of your data but we need to verify whether we have overriding legitimate grounds to use it. Download the Right to Restriction form. Request the transfer of your personal data to you or to a third party. We will provide to you, or a third party you have chosen, your personal data in a structured, commonly used, machine-readable format. Note that this right only applies to automated information which you initially provided consent for us to use or where we used the information to perform a contract with you. Download the Request to Transfer form. Withdraw consent at any time where we are relying on consent to process your personal data. However, this will not affect the lawfulness of any processing carried out before you withdraw your consent. If you withdraw your consent, we may not be able to provide certain products or services to you. We will advise you if this is the case at the time you withdraw your consent. Download the Right to Withdraw Consent form. These are to ensure that we carry out your instructions accurately, for training purposes and to improve our services, and to ensure security and prevent fraud. For the greater security of our guests and patrons, and to prevent and detect crime, we use CCTV in and around our premises. Contact us to obtain information about our use of CCTV. This cookies policy describes the way in which Jurysinns.com operated by Jurys Inn stores or accesses information on the device that you use in order to access the Site. By using the Site, you are providing your consent to Jurys Inn storing and using cookies in accordance with this cookies policy. However, you can adjust the settings on the browser you use to view the Site to remove or limit the types of cookies that it accepts. More information about this is set out in the section "Managing Cookies" below. The cookies used by the Site can be grouped into categories. Performance/Analytical cookies. These cookies allow us to see how visitors move around the Site when they are using it. This helps us to improve the way the Site works, for example, by ensuring that users are finding what they are looking for easily, and also to analyse the effectiveness of our marketing campaigns. Targeting cookies. These may be set through our trusted advertising partners to understand which of our offers may be of interest to you. Most browsers allow you to refuse to accept cookies. Your browser may have a Help section or some other form of instructions which should explain how to do this. If you are using a smartphone, then the manufacturer should have instructions on its website explaining how to do this. Useful guidelines on how to do this for a number of popular computer browsers can be found on the ICO website. You can manage your cookie setting for Jurysinns.com via our Cookie Settings section which can be found at the bottom of each page.